WatchChat for WhatsApp מדורגת מקום 34 ברשימת 50 האפליקציות בתשלום המובילות בחנות האפליקציות הישראלית. 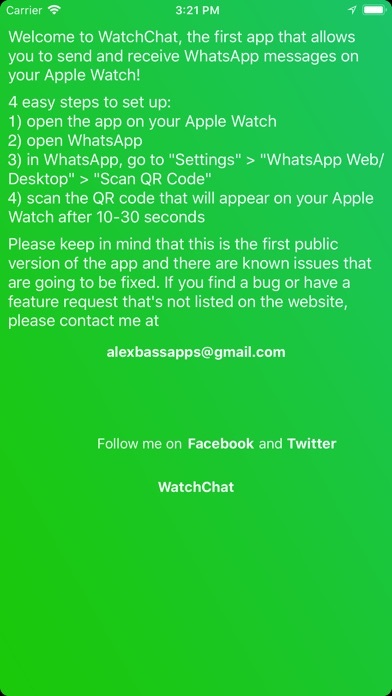 - in WhatsApp, go to "Settings" > "WhatsApp Web/Desktop" > "Scan QR Code"
As this is a 3rd-party-app, I would really appreciate if you had suggestions for further development so I can take your ideas into consideration. If you encounter issues while using the app, don't hesitate to contact me, I am more than happy to help. Please keep in mind that, as the app isn’t officially affiliated with WhatsApp, available features and functionality are subject to change. To keep up with everything, the app has been updated about once per week since its release in 2017 - I am always looking for ways to offer new features or improve the existing ones. הורידו עכשיו את WatchChat for WhatsApp, אפליקציה שפותחה במיוחד עבור אייפון ואייפד ע"י Alexander Nowak. נשמח לשמוע מכם תגובות, שתפו אותנו בחווית השימוש, שאלות או טיפים שימושיים על WatchChat for WhatsApp. צריכים עזרה? 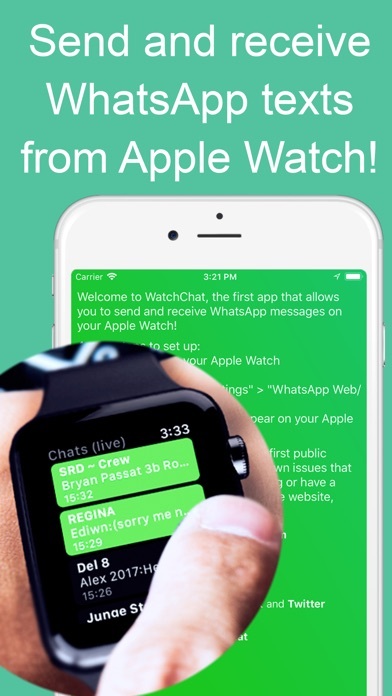 נשמח לעזור לכם להשתמש באפליקציית WatchChat for WhatsApp באמצעות מדריכי וידאו, עזרה, טריקים ועוד. אפליקציה מעולה. מאפשרת לענות להודעות וואטאפ מהשעון ועושה את זה טוב מאוד. Helps me a lot. Wonderful app. It can be great if you could add different languages. Thank you! Wow the last update is awesome... Hope you’ll add support for more languages as my language doesn’t have the scribble feature..
As far I am enjoying the app . Work pretty good,But I wish that in a future update With force touch we could start a new conversation, by that I mean we can choose a specific contact. Keep up the good work, it’s great to see you keep the app updated! Please try to put send voice messages and receive notifications from the app!